This Friday and Saturday we will be celebrating the 20th Birthday of Taylors Lakes Primary School. Set in the North West of Melbourne, Australia we have a mix of nationalities represented in our student and teacher population.We are caring and hard working and we look forward to celebrating our many achievements over the whole year. 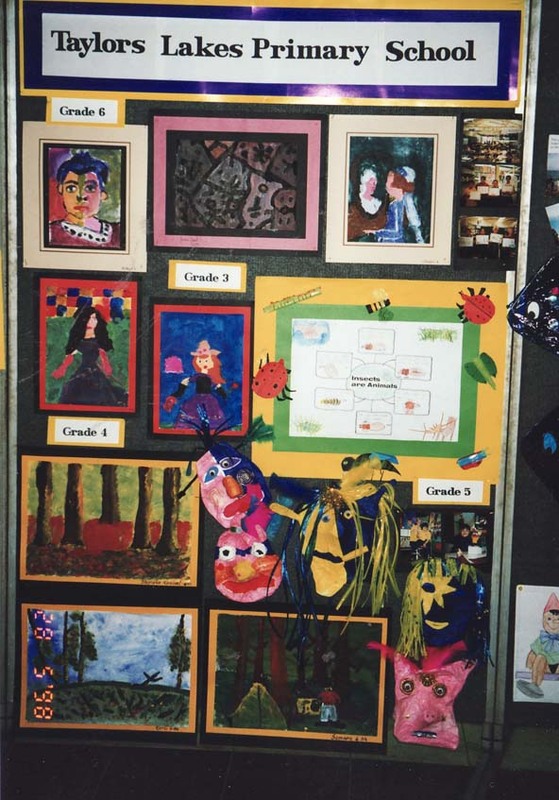 Pictured is some of the student Art work from 11 years ago. 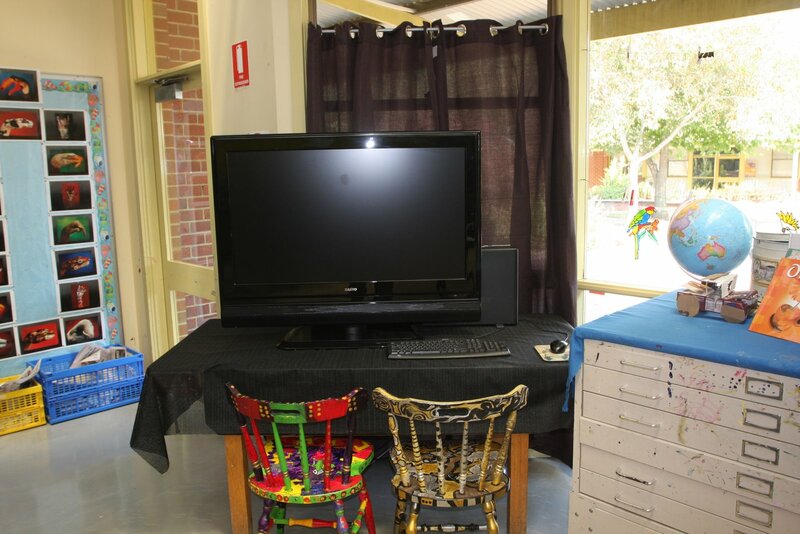 Monday February 16th saw the setting up of our new 42″ Sanyo High Definition TV as a monitor in our Art Room. 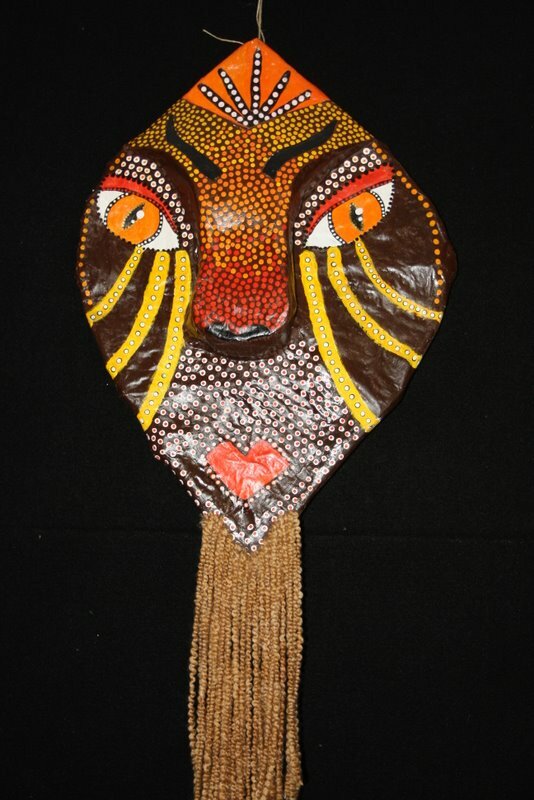 This has been long awaited and is now a means to showing our students clearer visuals of art works, websites and their favourite, their own work on our Visual Arts blog. We are deeply indebted to our Principal, Peter Reading who is very supportive of our work, Mr Jackson ( our gardener) who put up the curtains and Mr Greg Turner, our computer technician, who connected everything. Tuesday’s classes were very impressed with our proud demonstration and the TV reception was so clear we thought we may be able to get by without the Smartboard we had been lobbying for. We really are the lucky ones! This week has been a particularly sad one for our beautiful country, Australia. This time last week we were all happily going about our daily lives, settling into school and never realizing how one day could make such a difference. On Saturday the 7th of February and into the next morning under temperatures of around 116 F or over 46 C disastrous bushfires struck our state, Victoria. At least 181 people lost their lives as the fires raced as fast as 120km or 74mph consuming almost everything in their path. There is an overwhelming feeling of sadness in our communities. Our thoughts are with the families who lost their homes and loved ones. 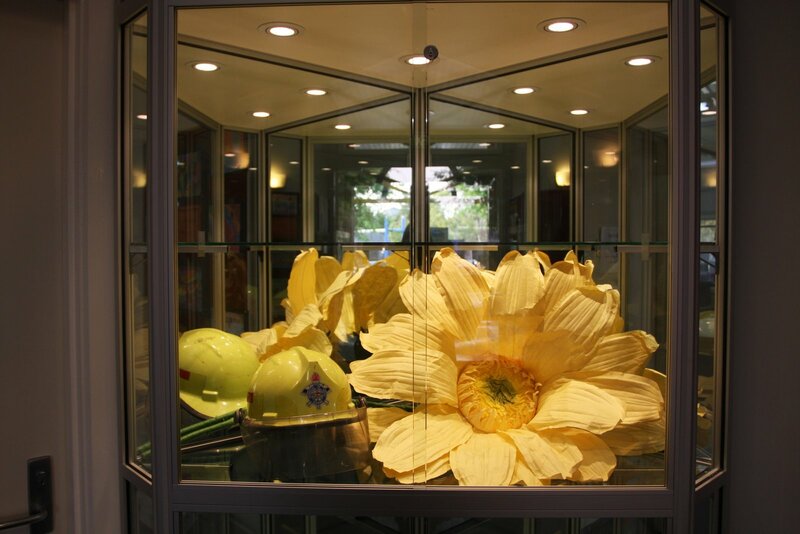 We have a beautiful new display cabinet in our school foyer.Today it proudly displays a fire fighter’s helmet and a yellow flower of rememberance and gratitude. Our students had an “out of uniform day” and paid for the privilege. Our school population was so generous in its support that the office staff are still counting. PS The total for today was $3766.15 and more is promised next week. Our students returned to school for 2009 on Monday Feb 2nd so we’ve had a week of Specialist classes already. Our school population stands at 612 divided into 26 classes from K-6. Highlights of this week have included making large papermache Birthday cakes for our school’s 20th Birthday (Grade 3) and painting the Waterlilies pond in the style of Claude Monet (Grade4). Grade 6 students are working with pattern to illustrate their name. 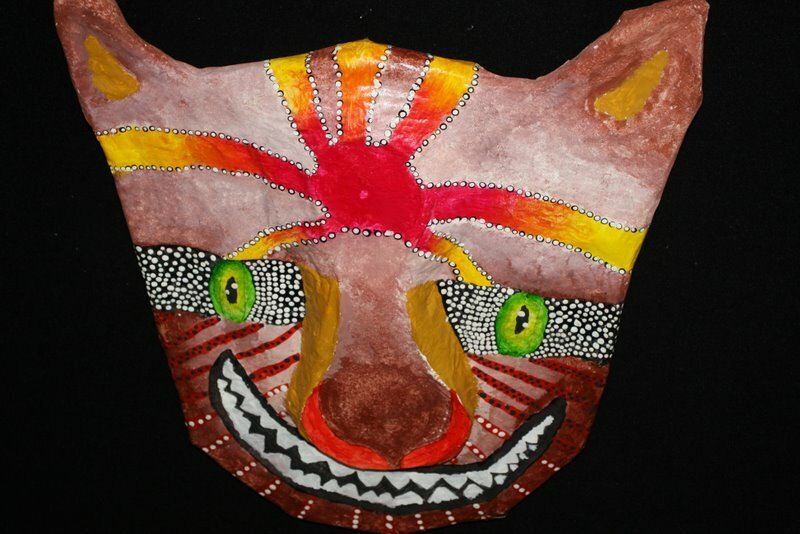 Because they are still works in progress I am posting some work displayed at the Childrens’ Gallery at art supplier Zart. 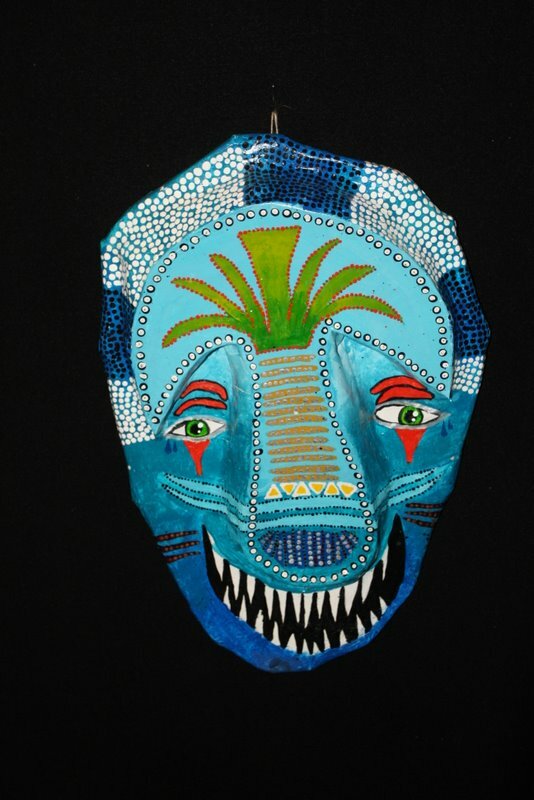 I took the photographs when Glenys and I went Art shopping last Friday on a 45C (113F day). 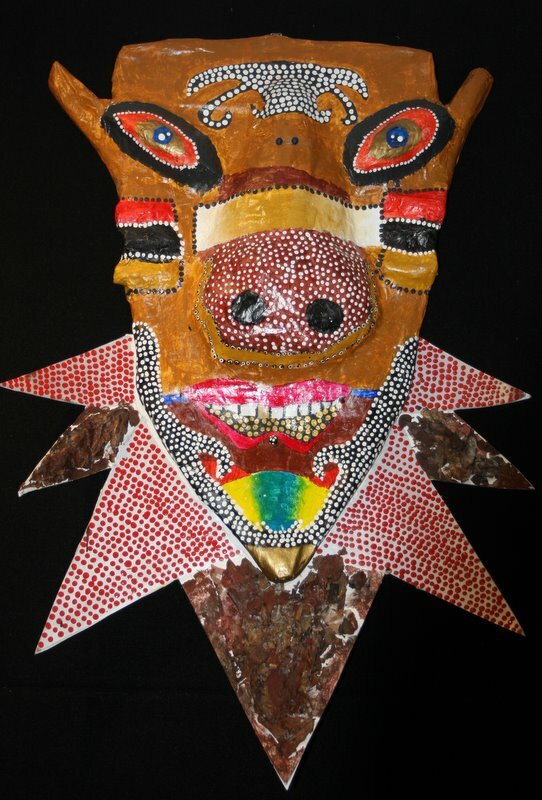 Zart’s owner, Rex, said he welcomed the posting of Gallery photographs so I am adding a selection from Melbourne students in Year 8 at ICA Casey College. 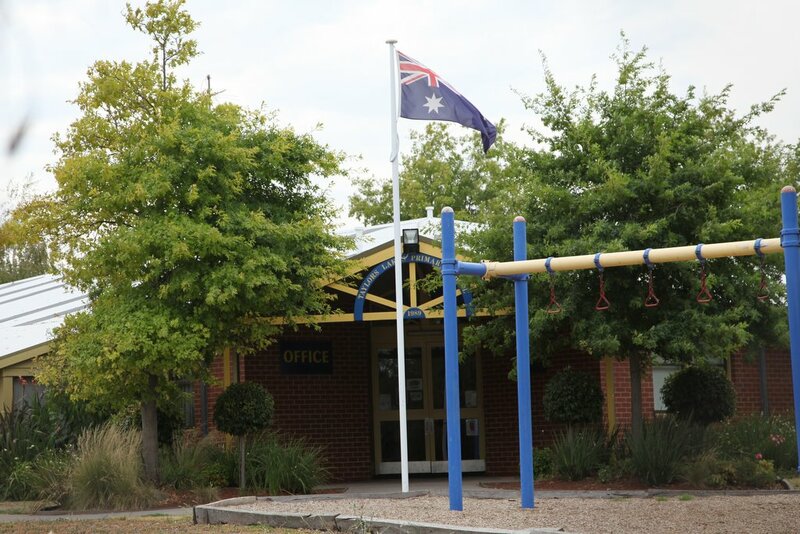 After very hot weather last week (temperatures between 109F AND 113F) , and teachers attending three days of “Professional Development”, students in Victoria, Australia began school for the 2009 year yesterday. Our school is celebrating its 20th Birthday this year. This is our front entrance.